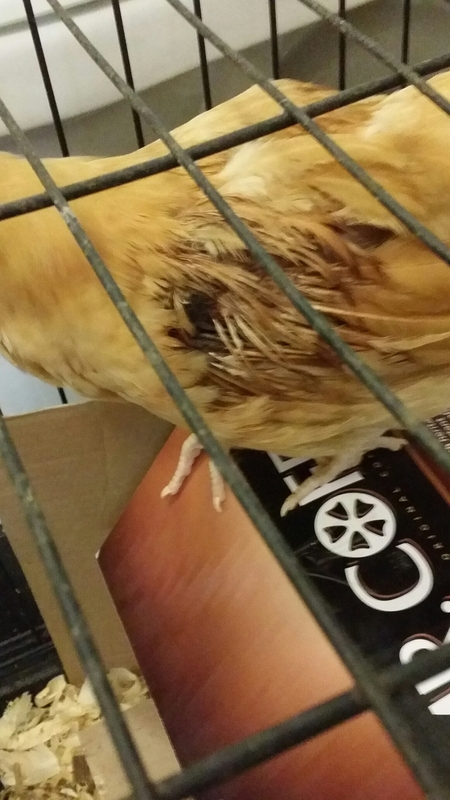 This morning, the injured chick greeted me by jumping on top of her box in her cage and chirping at me. 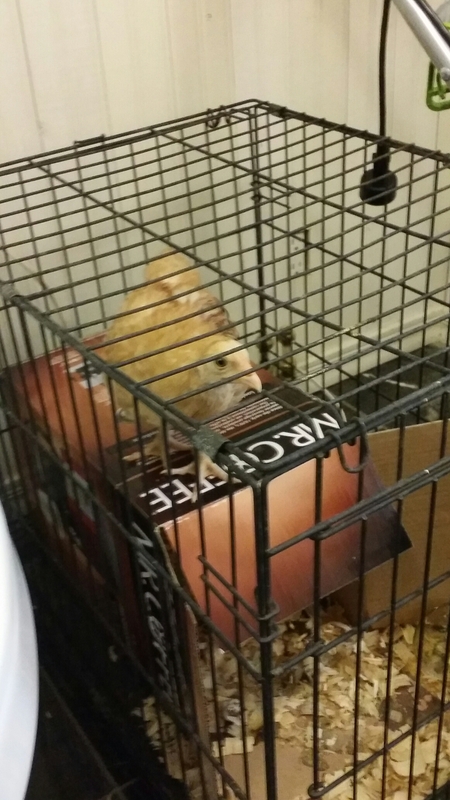 She also ate and drank all of the feed and water and tipped the dishes over so we’re moving to regular chick dishes now. Her wing looks much better today! She’s a survivor. I named her Reba.